Getting back to routine especially if you had been on vacation could be very boring. I have been feeling very lazy and not in my element yet to start doing the daily chores around the house. Food is something we cannot put away, as we feel hungry every three hours. To make life simple and provide a healthy meal for my family, I made this black bean hummus. This was an important ingredient for my pita wrap and making it was a breeze. I was so excited to use the cilantro that has been growing in my back yard. The flavors from the freshly picked herbs was worth all the effort in growing them at home. I loved this Mexican fusion dip. 1. Add all the above ingredients in the food processor and make into a paste with a little texture. Serve it with chips, pita, in a wrap, vegetables etc. 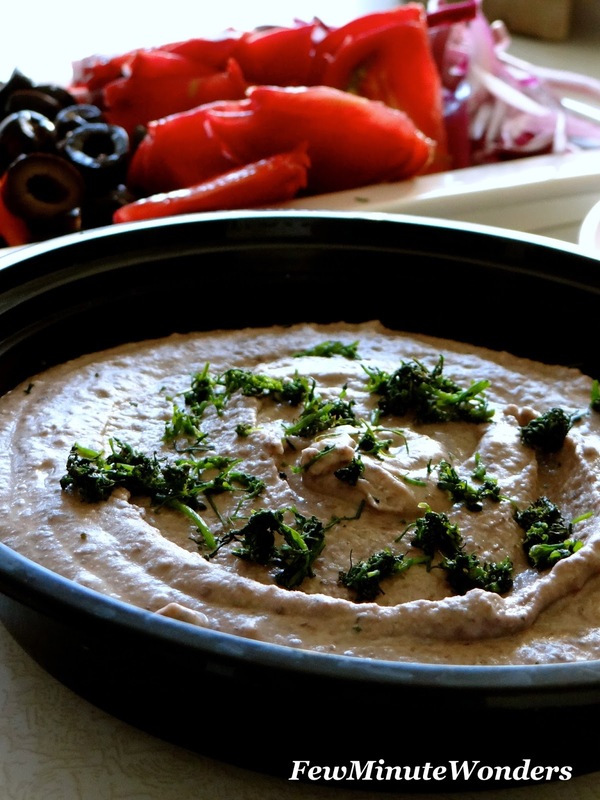 Simple n yummy dip.. Where to get tahini paste?